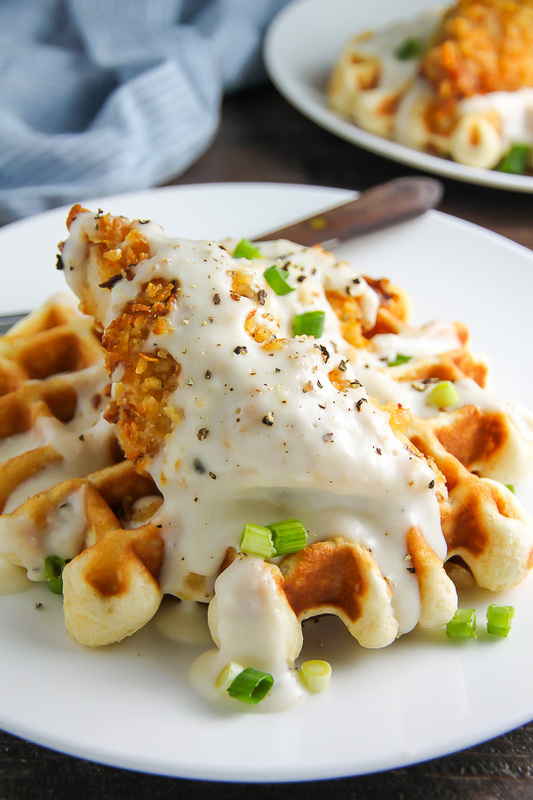 Fluffy buttermilk waffles topped with crispy “oven-fried” chicken and creamy white pepper gravy. 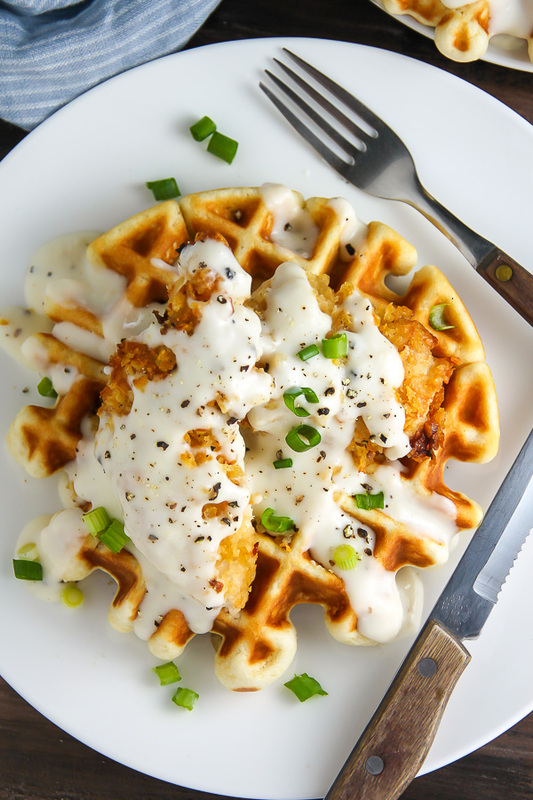 Brunch perfection. Happy Wednesday! How is your week so far? Are you getting by alright? I always find the weeks leading up to a major holiday to be the toughest. Dreaming of days off… sleeping in… long breakfasts… and lazy afternoons with a good book. Anyone with me on this? I call it the pre-holiday blues. The best way to muddle through? A treat yo’ self meal! We still have 14 days to go until Thanksgiving, so a big plate of comfort food t-o-d-a-y is just what the doctor ordered. This stellar recipe is from my friend Julie’s upcoming cookbook Dinner for Two . ↑ Do you know Julie? Have you pre-ordered her book ? If your answer is somehow no, please go check her out now. 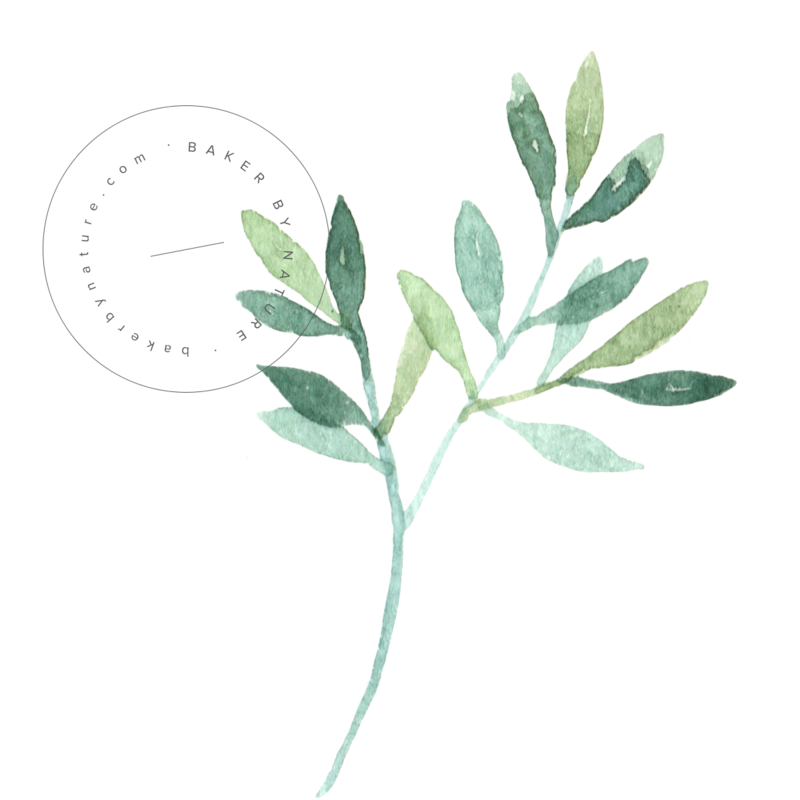 Her blog is wonderful and her book is a true delight! She was sweet enough to send me a copy last week and, hand to God, I have been dogearing pages like crazy! When you open up your copy I know you’ll find yourself doing the same. You will need a waffle iron; here is the one I use , in case you’re in the market. 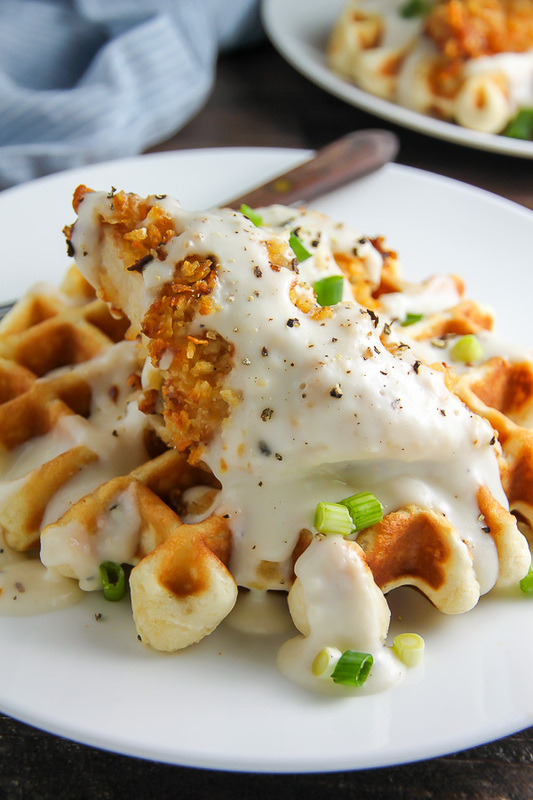 There are three steps in this recipe: the chicken, the waffles, and the gravy. 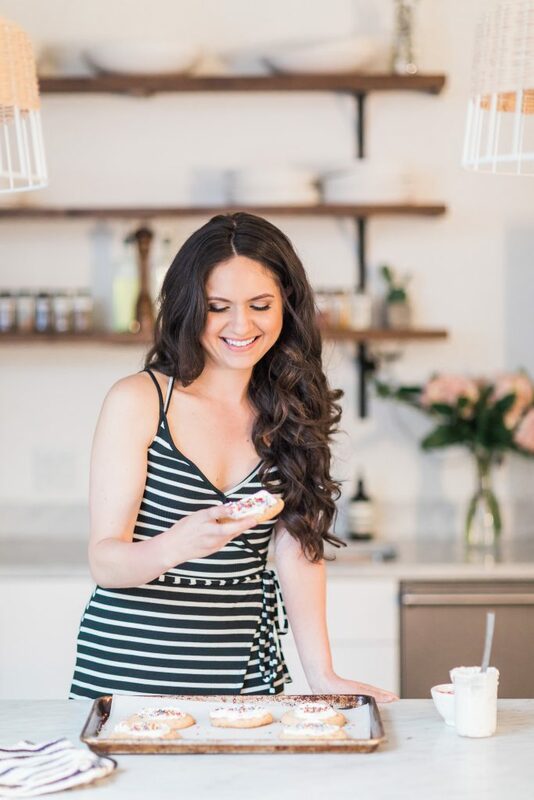 Although each step is simple and straightforward, I encourage you to fully read through the recipe at least once before beginning. When you “wing it” or speed read, you run the risk of skipping a crucial step or not having the proper ingredients ready. The recipe below is broken down step-by-step, which should make grocery shopping and assembly a breeze! The fried chicken isn’t really fried! It’s faux fried in the oven, but tastes just like the real thing. Start to finish this recipe will take about an hour. 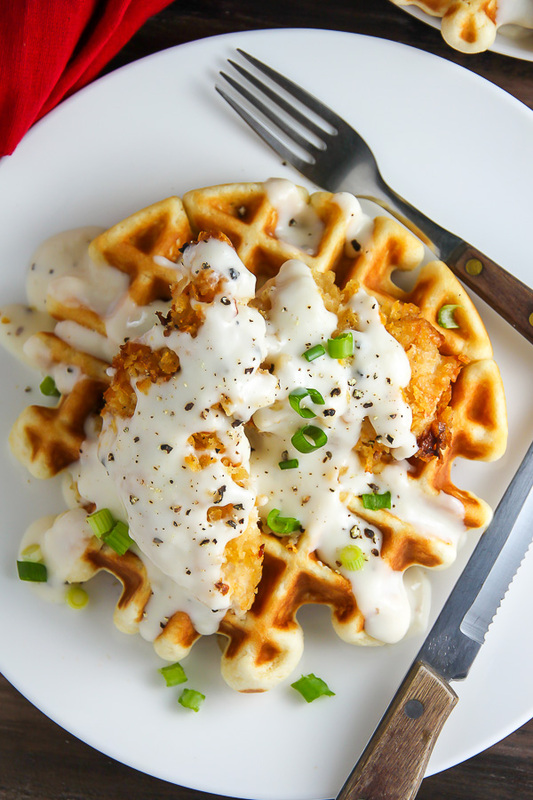 It makes for a fun “activity meal” with the kids or a cute brunch date with your significant other. I know you guys are just going to love this meal! We’ve already added it to our Christmas morning menu, but I have a feeling it will be made quite a few times before then. oh my gawd, I am SO making this!!!!! Yessss! I know you’ll love it, Alice. Happy Friday. Wow, totally my kind of grub..and super clear pics. Love them! Anyone try this? Concerned the potato chip crumb coating will go soggy. Agreed this looks gorgeously yummy, but prefer comments after having tried the recipe. 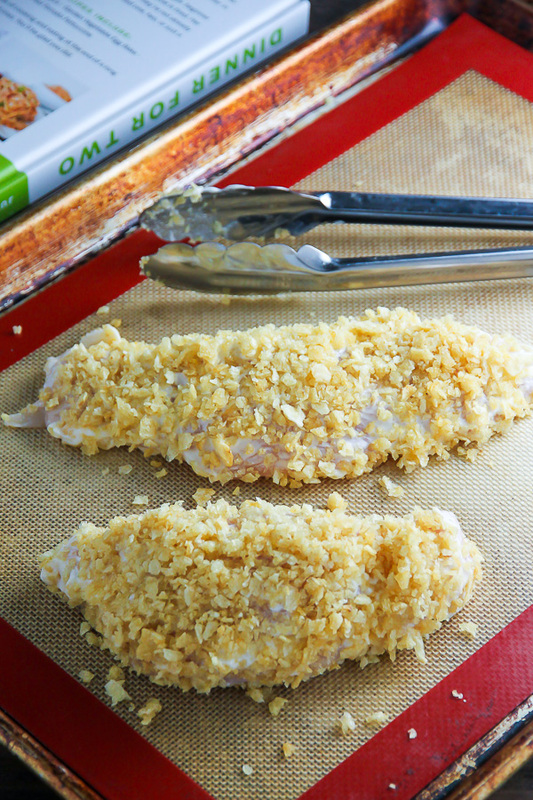 Tried it, as most things cooked correctly…breadcrumb did not go soggy, not sure why you would think it would, unless you don’t cook the chicken long enough and pretty sure she would not be putting this recipe on here if there was any soggy to be had! I made this last night and it was pretty good. I will say that I am pretty sure that there are a couple typos in the recipe though. I think the buttermilk in the waffles should be 1 and 3/4 cups plus 2 Tbls and in the milk in the gravy should be 1 and a 1/2 plus 2 Tbls. The waffle batter was more like biscuit dough without the extra couple of buttermilk. Everything turned out nicely once adding the extra milk. Thanks for the recipe. My 11 year old grandson has asked for this. I don’t know where he got the idea. 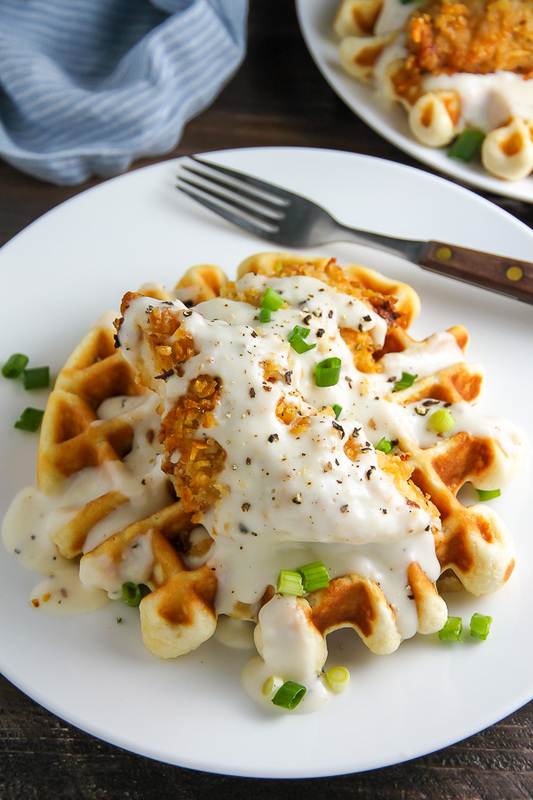 I had never thought to have creamed chicken on waffles. Should be good – I will have to try. The wafflle batter is great however my waffle iron didnt like it so they turned into pan fried biscuits and they are damn good. The chicken just didnt work at all. Love this recipe! We’ve made it before and the whole family devours it. It’s for dinner tonight!